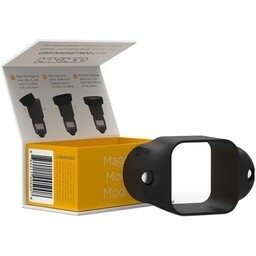 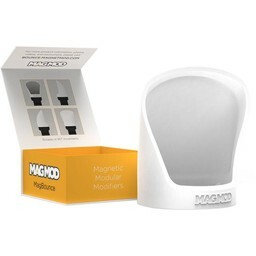 Get a fresnel and gobo for your compact speedlight with this MagBeam Kit for the MagMod flash modifier system. 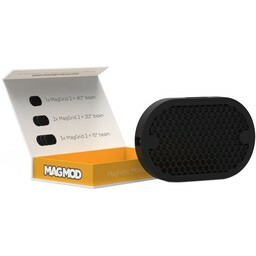 The main MagBeam accessory connects via powerful neodymium rare-earth magnets to the separately available MagGrip and then accepts a variety of different tools to control the beam of your flash. 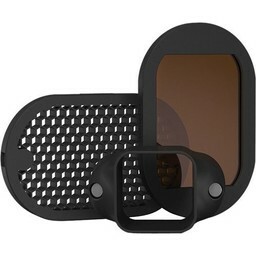 The tele lens included here focuses the flash beam, and thanks to the collapsible design of the MagBeam users can select between three spotlight patterns, each with a crisp, defined edge. 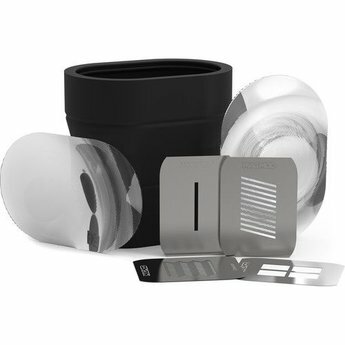 This optic also boosts output by 2-3 stops. 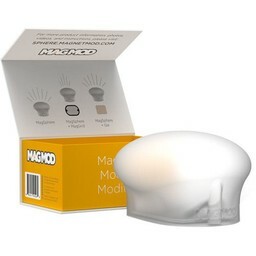 The wide lens, on the other hand, enables the use of MagMasks to project certain patterns, and this kit comes with a standard set of four masks. 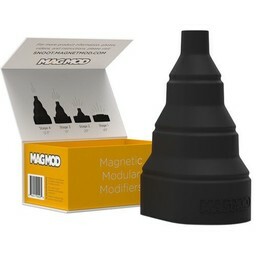 Additionally, the MagBeam is fully compatible with the existing system, being both stackable and constructed from a durable silicone rubber material.